The ZS Series probes provide high impedance and an extensive set of probe tips and ground accessories to handle a wide range of probing scenarios. The high 1 MΩ input resistance and low 0.9 pF input capacitance means this probe is ideal for all frequencies. The ZS Series probes provide full system bandwidth with all Teledyne LeCroy oscilloscopes with bandwidths of 4 GHz and lower. Engineers must commonly probe high frequency signals with high signal fidelity. Typical passive probes with high input R and C provide good response at lower frequencies, but inappropriately load the circuit, and distort signals, at higher frequencies. The ZS Series features both high input R (1 MΩ) and low input C (0.9 pF) to reduce circuit Loading across the entire probe/oscilloscope bandwidth. The ZS1000 is ideal for 200–600 MHz oscilloscopes. The small form factor and extensive range of standard and optional tip accessories for the ZS Series of probes ensures that this probe can meet any difficult probing challenge. 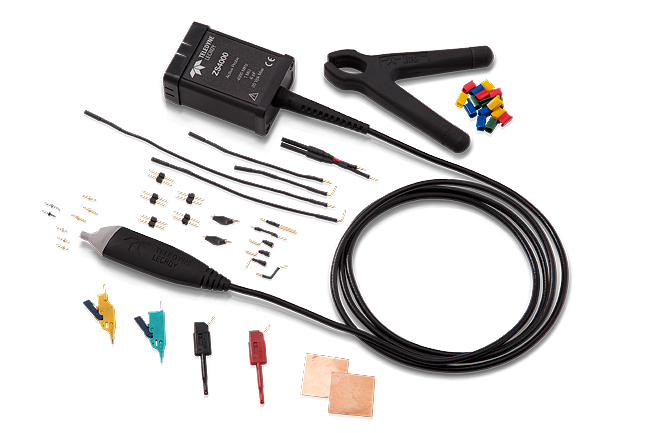 Various flexible leads and clips, such as right-angle leads, Y-adapters, and pico hooks, are also available for probing test points that are spaced farther apart. Keeping the ground loop short is critical to eliminating the effect of high inductance on the signal. 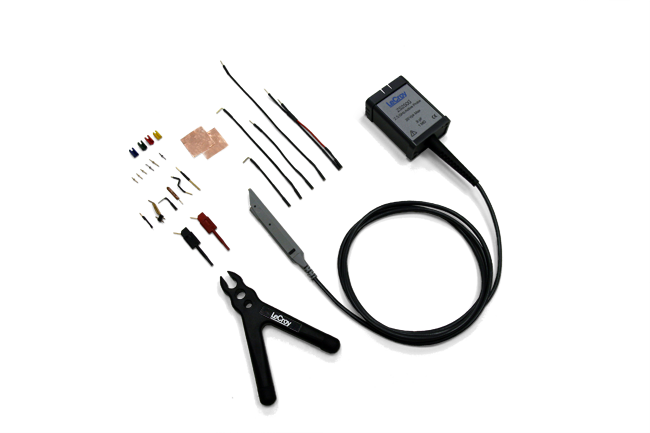 The ZS Series of probes provides several grounding capabilities to offer the highest signal fidelity by eliminating the effect of that loop on the signal.